New for 2018 - now includes instructions and charts for my Love Heart Stars. 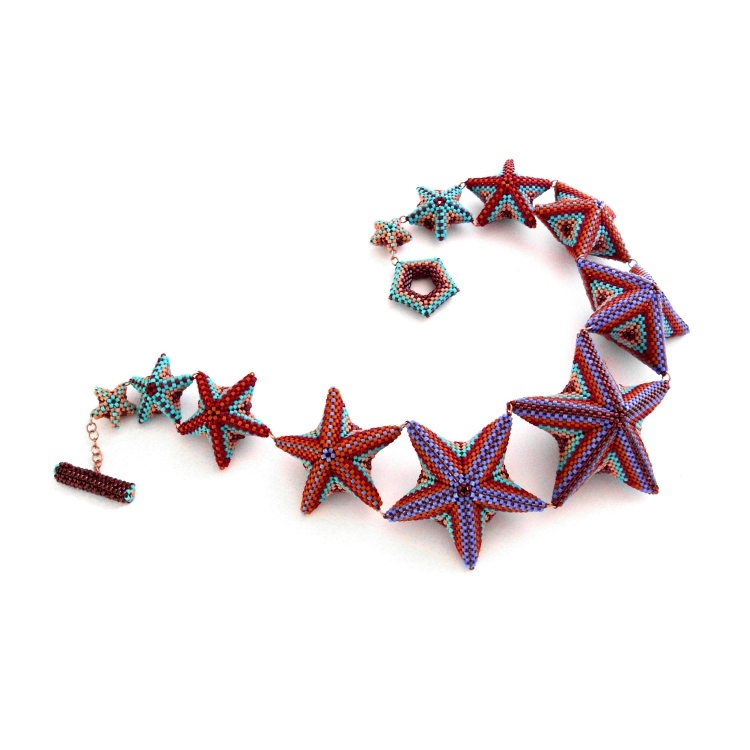 Learn how to make these Geometric Beaded 3D Stars and Star jewellery which form part of my popular and award-winning Geometric Beadwork series. These Stars were invented by me and this complete 39-page step-by-step tutorial contains all the instructions, diagrams and photos you will need to make your own versatile Stars as well as the pentagon clasp if you wish to make a full Star necklace. A basic knowledge of peyote stitch (tubular, flat circular, step-ups, increasing and decreasing) is needed. If you want to turn your Stars into necklaces you will also need to know how to open and close jump rings. These instructions are also available as part of my Geometric Beadwork instructions set and there is now an Advanced Stars pattern also available.